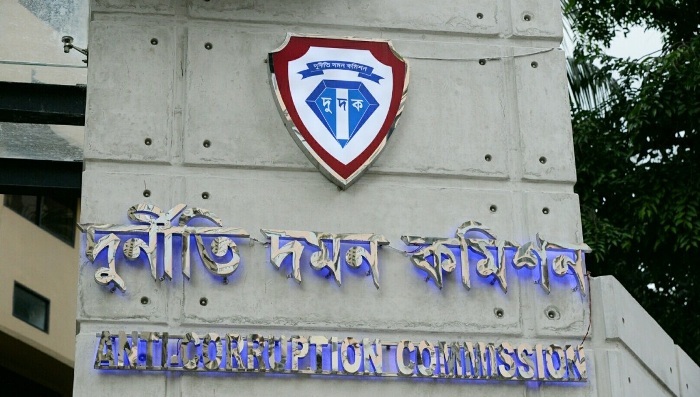 The Anti-Corruption Commission (ACC) has approved the filing of a case against six people, including Biswas Fashions Limited Managing Director Taslim Ahmed, for allegedly misappropriating Tk 36.67 crore from the Kakrail branch of AB Bank Limited. The decision was taken after a two-member ACC team -- Assistant Director Mohammad Sirajul Haque and Deputy Assistant Director Sahidur Rahman -- investigated the complaints and found those to be true, ACC spokesperson Pranab Kumar Bhattacharjee told UNB on Sunday. The other accused are Director of Bits Fashion Limited Shamima Ahmed, Fair Trade Group MD Jasim Ahmad, former Senior Assistant Vice-president and Kakrail branch Manager of AB Bank Ltd Mohammad Saiful Islam who is presently serving as the senior Vice-president and Head of Credit, Administration and Monitoring of the bank, former Senior Principal Officer of the branch Md Al Amin Miah, former SA, VP and in-charge, Credit Administration Monitoring, Azad Hossain. During the investigation, it was found that between 2012 and 2018, they embezzled the money from the bank. A case will be filed very soon against the alleged people, Pranab said.